What is an e-commerce website, and why are they important? 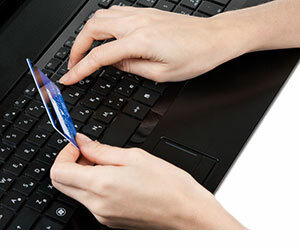 Let us first of all take a look at the definition of the term "ecommerce" or "e-commerce". With or without the hyphen the word is an accepted abbreviation of "electronic commerce". The Chambers dictionary definition is "the use of electronic communications to buy and sell goods and services". A website is defined as "location on the World Wide Web with content supplied and maintained by a single person or organisation". Here in the UK it is estimated that 59 million people use the Internet and 70% of those (41 million) have made a purchase using an ecommerce website. The largest and most popular of these type of websites are E-Bay, Amazon, Tesco, Argos, Next, John Lewis, and Marks & Spencer etc., but there are thousands of other websites selling goods and services on the Internet. Traditionally, shopping websites were only available to companies with a large budget, as they were bespoke and would either be created by in-house design staff or by a third party specialist web designer. Ecommerce websites could therefore cost thousands of pounds, as they were extremely complex and code had to be hand written to create databases, categories, sub categories, shopping carts, secure payment processing, etc. That has all changed now though as there are many companies who specialise in supplying a ready made selling platform for businesses to use at a fraction of the cost, most charging a small monthly fee. This has made Internet shopping facilities available to the smallest of businesses and it enables them to get their products on-line quickly, avoiding the months of manual code writing that used to be involved. Have you noticed that high street shops in small towns across the UK seem to be doing less business than they used to, or have even closed for lack of business? That is in part due to the massive growth of Internet shopping, and any business that has a physical high street presence is losing out on a golden opportunity if they do not have an ecommerce website to supplement their physical shop. When and how do people buy? The percentage of population in the UK that buy on-line is greater than any other country in the world. Many folks make their purchases when physical outlets are closed, choosing to buy in the evenings or late at night. They will buy using their mobile smart phones whilst watching TV or in bed before going to sleep, so if you do not have an on line presence they will not be buying from you, and that is guaranteed. It is important for any business that has a product that can be sold and dispatched to an end user to have their own ecommerce website because it is now expected of them by their customers and potential customers. Whatever you sell, be it books, furniture, tools, clothes, hardware, kitchen appliances (the list is endless) - If you have not got a website that allows people to buy your product instantly when on-line, you are ALLOWING YOUR COMPETITORS TO STEAL YOUR SALES. I did not write that in capitals by mistake, I am shouting this truth at you. No matter how small your business you still need more sales, and an ecommerce website is a great way to get them! Imagine what your share of those 41 million customers could mean to your bottom line, and that is only the UK, so if you ship worldwide, the potential is so much bigger for you. How can you get an ecommerce website? Putting your products on-line has never been easier. With our system you can be up and running very quickly and without it costing yo0u a small fortune. You can get started with unlimited products from only £29.99 + vat per month, and we will even give you a 28 day FREE trial. Go Here to see the detailed features of our package and get started today.